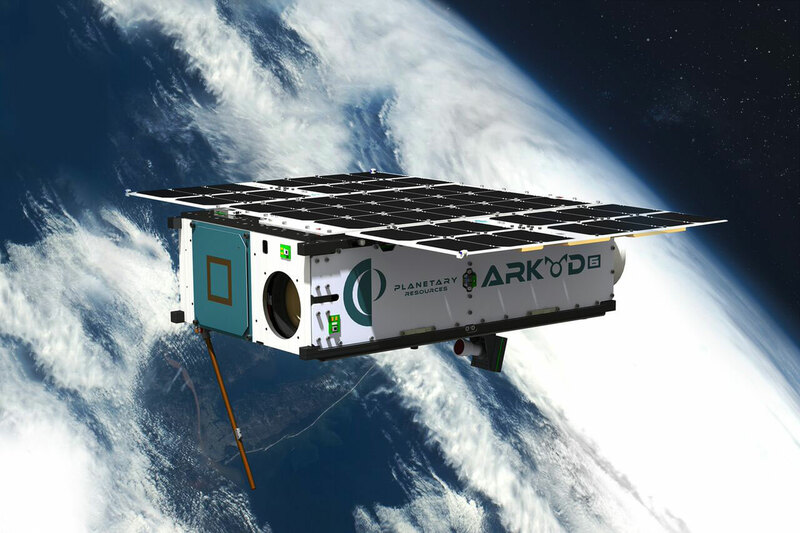 Arkyd-6 (A6) is the second flight test unit for Planetary Resources in the company’s efforts to develop the tools to explore potentially useful resources on asteroids and develop technologies for asteroid mining. A long-term strategic plan was developed by the company to first test their technologies in Earth orbit with small satellite missions, then upgrading to LEO-based space telescopes to study asteroids and eventually sending probes to asteroids to survey and exploit the resources they may offer. Planetary Resources was founded in 2010 as Arkyd Astronautics and gained a number of financial investors by 2012. In April of that year, the company held a press event detailing their mission and vision for the future and announcing that it had secured launch slots on Virgin Galactic’s LauncherOne to deliver the company’s satellites into orbit. A ground test prototype of the Arkyd-100 space telescope was completed by 2013 and the company ran a Kickstarter Crowdfunding campaign to provide funds for the first Arkyd-100 satellite, raising more than $1.5 million, partly owed to the “Selfie in Space” service the company had planned to provide – displaying images of backers on a screen and re-imaging them with the satellite camera showing the backdrop of Earth. Planetary Resources has detailed a strategic plan with the ultimate goal of developing a robotic asteroid mining capability. 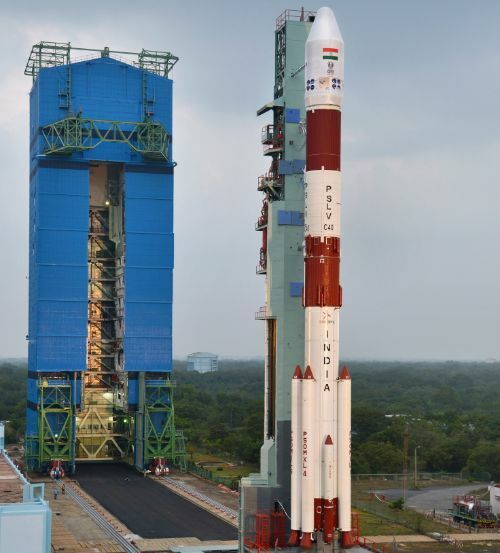 The first stage of this plan is the operation of technical demonstrator and surveying satellites in Earth orbit with sequential progress from small CubeSats to the larger Arkyd-100. Several space telescopes are planned to locate asteroids of interest and acquire images of other targets with spacecraft also available for use by paying customers. The next stage of the plan will be survey missions of spacecraft flying to near-Earth asteroids to conduct in-depth studies. The ultimate step will be the retrieval of asteroid material for return to Earth or for use in space. Another concept the company is working on includes the control of the orbits of small asteroids. Planetary Resources launched its first satellite, the Arkyd-3 triple-unit CubeSat, in October 2014 but the satellite was destroyed when the Orbital ATK Antares rocket it was on exploded seconds after liftoff. An identical re-flight mission, Arkyd-3R, launched successfully aboard the sixth operational Dragon mission to the International Space Station from where it was deployed in July 2015 to test out systems of the planned Arkyd-100 platform and collect imagery of Earth. The Arkyd-6 mission takes one step further: doubling the size of the first test satellite and adding an imaging system that is to be tested in space for future application in asteroid close-up surveys to identify water and water-bearing minerals. 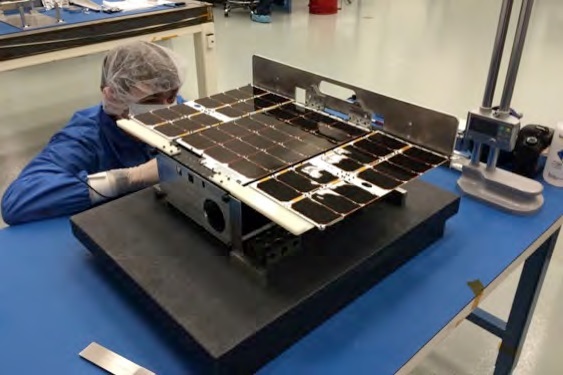 As a 6U CubeSat, A6 is 30 x 20 x 10 centimeters in size and weighs in at ten Kilograms. The A6 mission will be two-pronged, testing out Planet Resource’s second generation platform systems and demonstrating sensor systems for use on future asteroid surveying missions. A6 hosts the company’s second generation avionics, electrical power system, communications and attitude determination & control systems that will fly on the Arkyd-100 satellites. The second-generation systems will allow for precision pointing via star-trackers and incorporate a high degree of autonomy as would be required for a mission to distant destinations. According to Planet Resources, over 90% of hardware on the A6 platform was developed and built in-house. The second-generation communications system marks a major step up from the A3 satellite that only used a 115kbps S-Band terminal. A6 features a low-rate UHF system operating at 40kbps for command uplink and telemetry downlink, an S-Band uplink at 500kbps and an X-Band downlink at 6 Mbps to handle payload data generated by the MWIR imaging instrument. Arkyd 6 hosts a body-mounted and two deployable solar arrays delivering an orbit average power of 35 Watts. 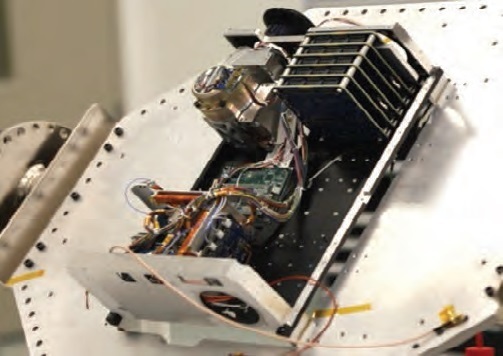 The satellite’s instrument payload is a broadband mid-wave infrared imaging instrument covering the 3 to 5-micrometer wavelength range that has proven a sensitive method for detecting water and mapping thermal energy. From its 500-Kilometer orbit, A6, at 26 meters, achieves a fairly high ground resolution for an MWIR instrument. 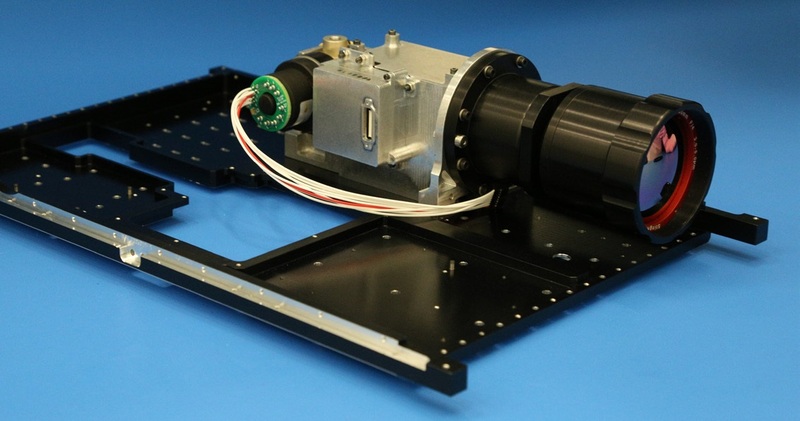 The MWIR instrument takes up 1.5 CubeSat Units and uses a 200mm focal-length telescopic imager feeding a 640 by 512-pixel Indium-Antimonide detector array that is cooled to 77K by a Sterling Cryocooler. The instrument captures imagery of a 19 by 15-Kilometer ground footprint and has a spectral range of 3.4 to 5.1 micrometers. 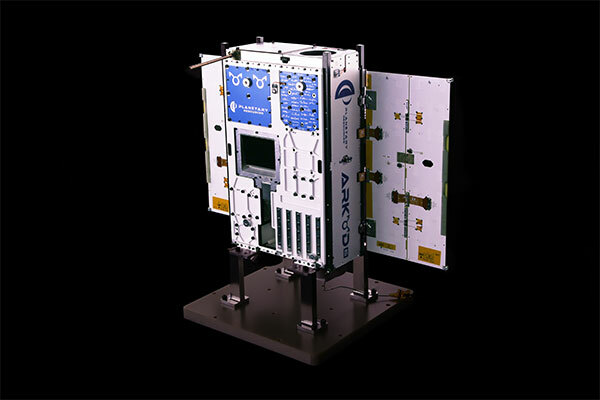 The Arkyd 6 satellite platform has been designed as a capable space platform for a variety of operations, using a generic instrument interface that could easily facilitate other payloads. The space telescopes will have an aperture diameter of 20 centimeters with a resolving capability of one arcsecond. The 5+ megapixel optical sensors will be sensitive for wavelengths of 200 to 1,100 nanometers, different optical filters will be available. Observing time on the first satellite or entire satellites will be available to paying customers. The first Arkyd-100 satellite is planned to fly before the end of the decade with more to follow after that to establish a constellation of LEO Telescopes.